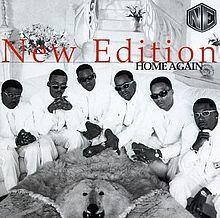 New Edition will be performing in concert as part of the festivities of the Tom Joyner Family Reunion at the Gaylord Palms that takes place August 30th through September 3rd, 2012. New Edition will be performing in concert on Saturday, September 1st, 2012. Click here for more information and to purchase tickets to the concert. This entry was posted in Concert and tagged Rap, Special Event on May 19, 2012 by Orlando Concert Guide Staff.